Heavy Hauler Outdoor Gear Lanyard Model E. $14.99. "Have used mine for years"
Have used mine for years. My son is getting his first dog this spring. Bought it for him. "Very durable high quality gear." I have used Heavy Hauler Products in the past. Very durable high quality gear. Does the job and is comfortable. Perfect for hiding whistle and e-collar controller. works great. whistle training is going well with my new pup! The bottom strings that the whistles are too short. 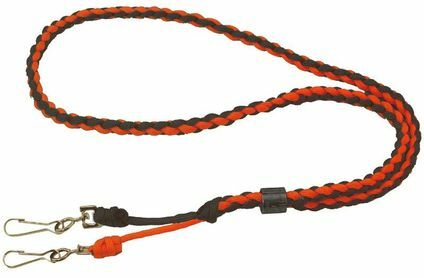 Due to this if you leave a whistle in your mouth you are bearing the entire weight of the lanyard and other whistle. Two swivel clips to hold your whistles and other training accessories. Works great for small transmitters. 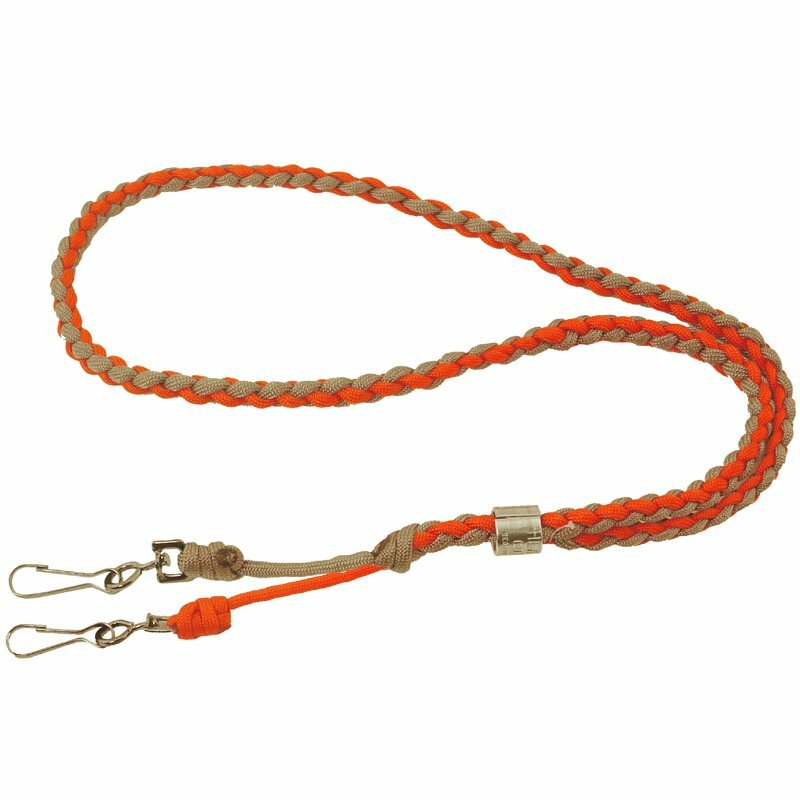 Rugged, comfortable, and comes in two Hi Viz upland colors and one waterfowl color. Choose from Orange-Black and Orange-Tan.